There was no plan to complete a photo assignment this weekend – I have four hours on Saturdays to hang out in indie cafes, to drink proper flat whites, to catch up with husband, and then read, research and plan for the week ahead. There was no time to chase the sun. However, when this photo opportunity came up while running errands, I couldn’t resist. Giant Easter egg or alien spaceship? Used my front-facing camera on the smartphone for this one. Stardust? Lightstorm? Used my rear camera for this one, without changing position. 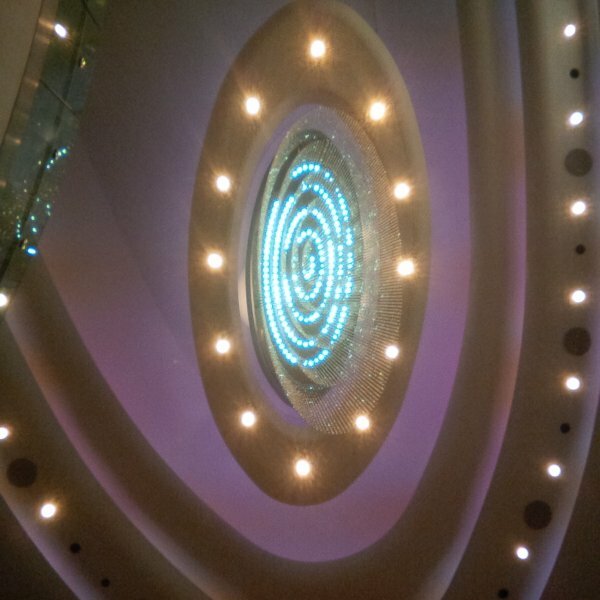 The lights are inside a large shopping mall – the first photo is of the OTT chandelier in the luxury brand section. 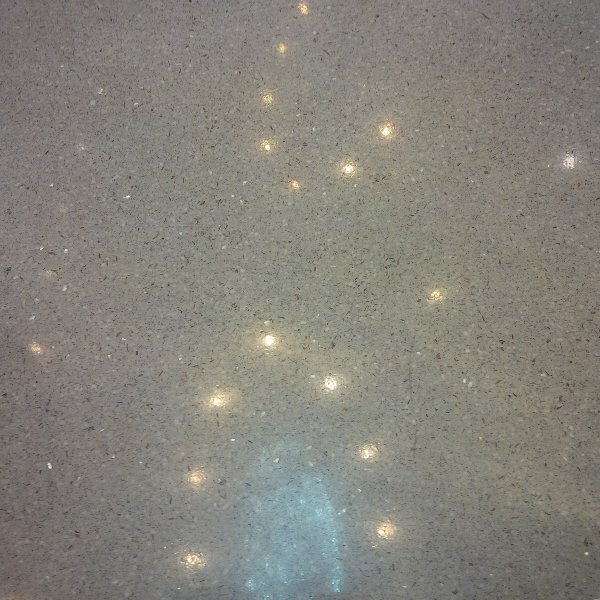 The second shot is the floor reflecting the same lights. Exactly what Saturdays are for!!! You’ve inspired me to start taking pictures again….. thank you! It’s been a long time. I love how the first photo looks like a glittery and sparkly version of the black hole and it kinda looks like a dreamy milky way. The second photo looks like fireflies that have come in formation.